We at Gearhead Outfitters are devastated to learn of the havoc wreaked by Hurricane Harvey. 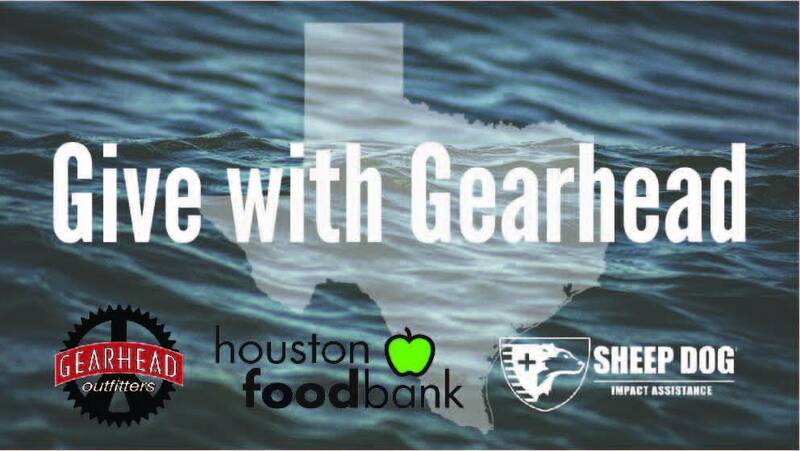 In an effort to give back to our Texas neighbors, every Gearhead Outfitters location will be accepting donations for the Houston Food Bank and the city of Houston, to be sent with local relief organizations throughout the month of September. If you would like to give, simply bring any approved donations to your nearest Gearhead location and we will take care of the rest.